According to the new market research report on ASDReports, "Unmanned Ground Vehicle Market by Application (Commercial, Defense, & Homeland Security), Technology (Tethered, Tele-operated, Semi-autonomous, Fully-autonomous), Payload (Fixed, Role Specific), Type (Locomotion, Size, Weapons, Energy Source) & by Geography (North America, Europe, Asia-Pacific, the Middle East, Latin America, Africa) - Forecasts & Analysis 2014–2020", the unmanned ground vehicle market is estimated to be $1.51 billion in 2014 and is anticipated to reach $8.26 billion by 2020 at a CAGR of 32.72%, which includes an in-depth analysis of application and geography. The major challenges include incorporating new technology before it matures and verifying the operational safety of the UGV. Survivability and adaptability to extreme environmental conditions is expected to restrain the market. North America holds a share of almost 50% of the global market. Asia-Pacific is expected to indicate stringent growth with increasing investments in defense and commercial applications in emerging countries such as China and India. Technological advancements in UGVs, its success in combat performances, and the rising demand for non-defense applications is expected to drive the market in future. 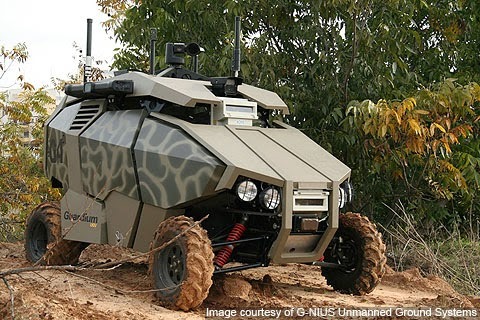 A reduction in risks to human life through UGV applications in hazardous and periculous circumstances is expected to trigger the market, globally. Limited battery endurance to accomplish longer mission hours and defense budget cuts in the established North American and European regions restrict the UGV market growth. The increasing demand for autonomy and better operational efficiency will seek opportunities for the UGV growth. The market is segmented based on categories-by type, by technology, by payloads, by application, by region, and by country. The competitive analysis includes the market share of companies in the market. 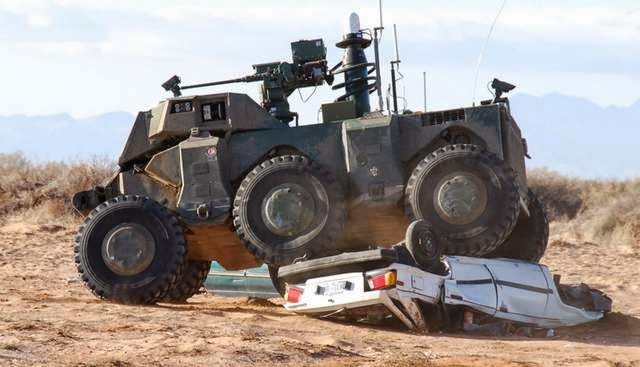 The report includes an analysis of the impact of drivers and restraints country-wise and region-wise to provide a better insight of the UGV market. Technology and industry trends are also highlighted, which will provide competitive market intelligence to utilize the business opportunities.